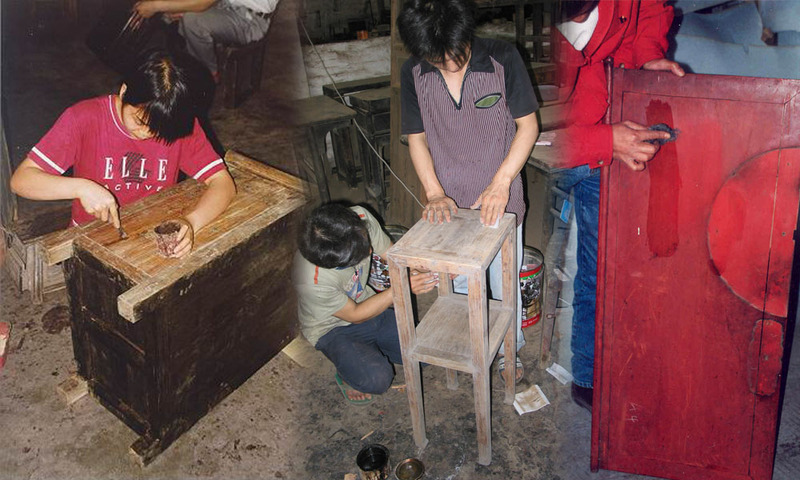 of new devine pieces (Shanghai, Hebei, Jangsiu, Shanxi, Shaanxi, etc…). 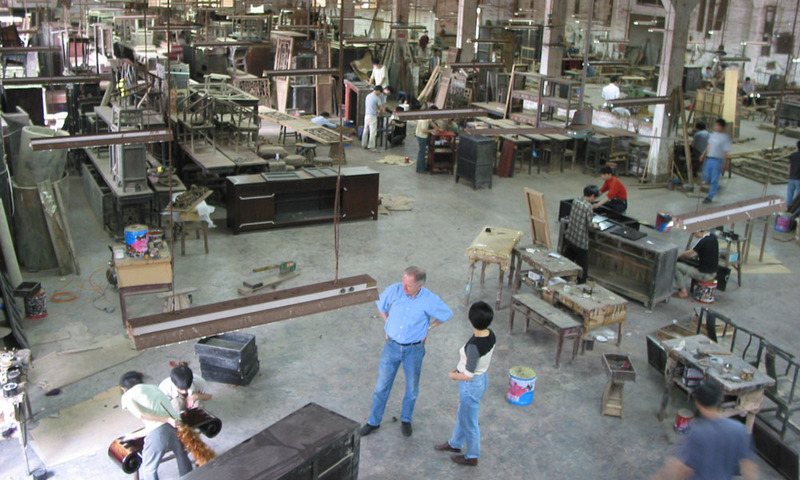 In this process a series of different criteria are being handled : the status of preservation, the kind of wood, the quality, the authenticity of the furniture piece as well as its metal parts, the originality, the functionality and finally whether the piece is in line with the typical original style elements. 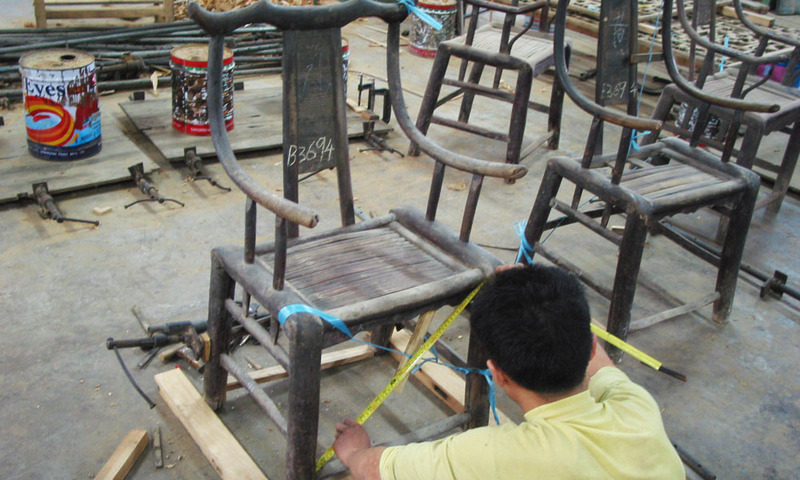 Each piece is being restaured carefully by a team of about 30 Chinese restauration specialists working in our workshop based in the South of China. 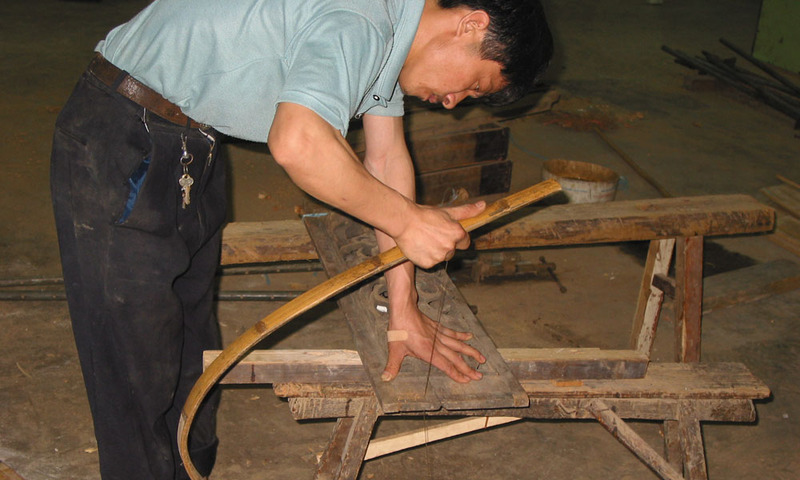 Only the traditional craftsmanship techniques are hereby being applied. 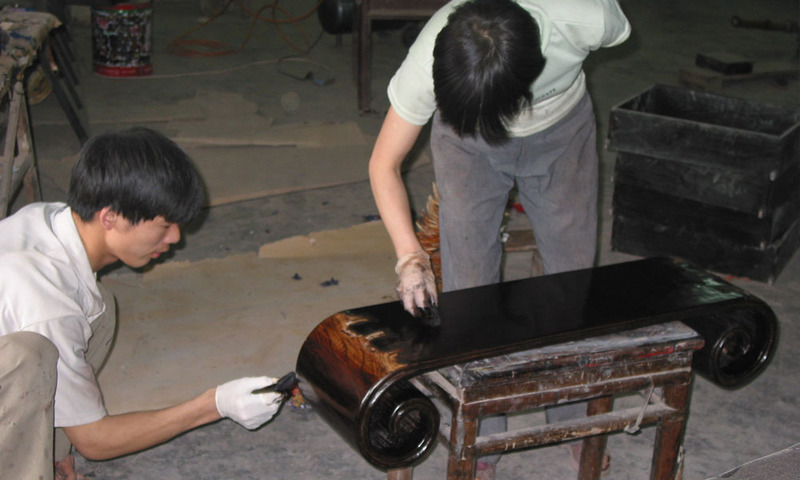 For example in the case of lacquered furniture, first of all the dirt on the surface is removed carefully whereby we strive to maintain the original lacquer to a maximum. 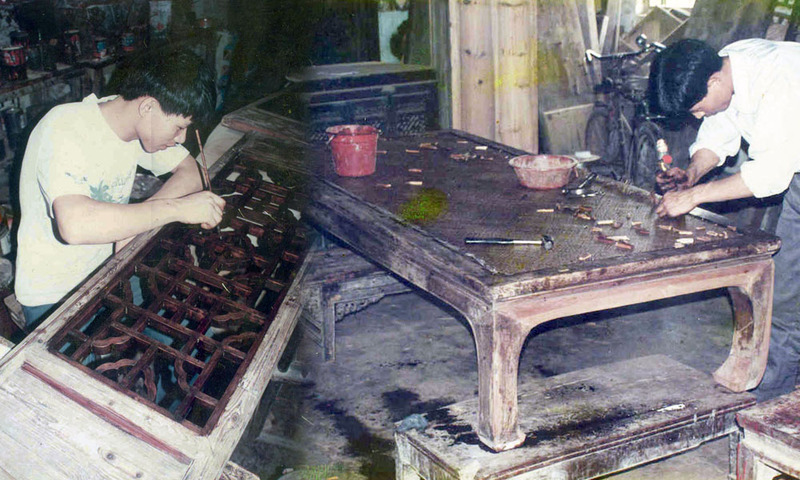 As a result the original lacquer colour is slowly brought back to life again. 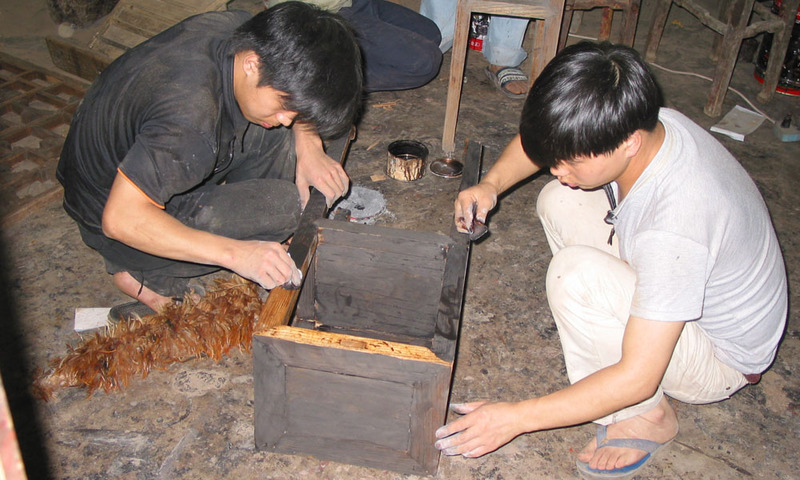 Subsequently, traditional restauration methods are applied to bring back the original shiny finishing of the lacquer.